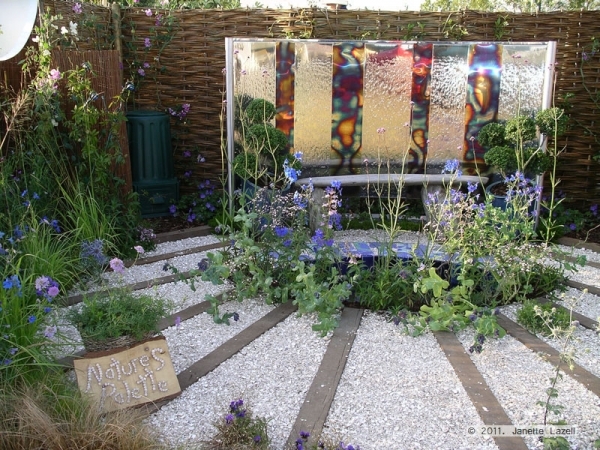 'Nature's Palette' - The design and colours of a peacock feather were the inspiration for this small garden. The garden was intended to be a space for relaxation and to provoke thought. It demonstrated that even in a small space there is room for possibilities. 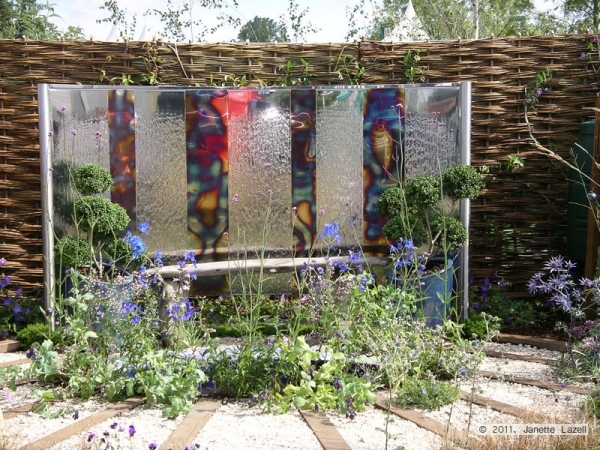 The transparent quality of the feather was reflected through use of water, glass and delicate, airy planting. 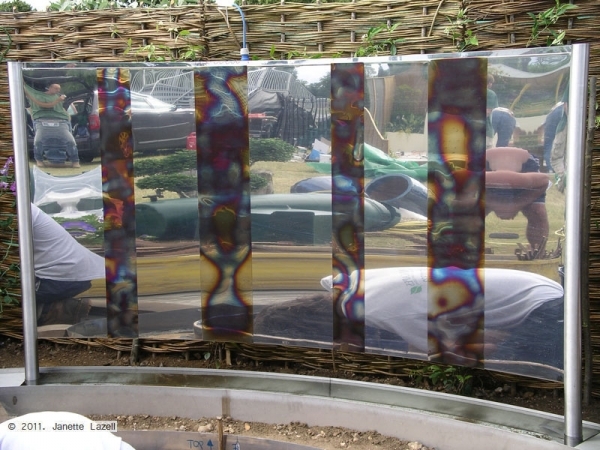 In contrast, the shape, form and colour of the feather was represented by clearly defined shapes, strong lines, a reflective metal water feature and a blue, brown and green colour scheme. 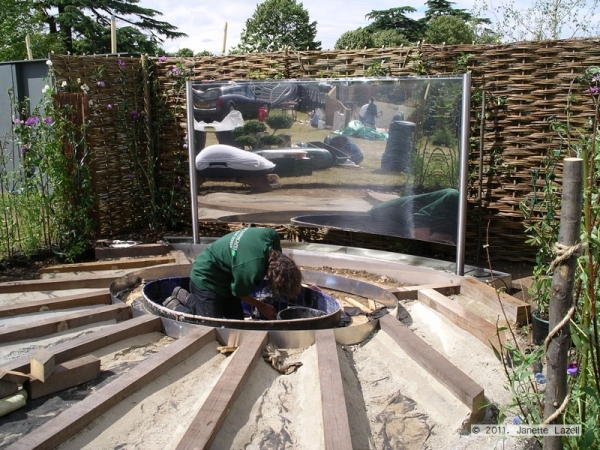 Many of the materials in the garden were recycled.